When the weather begins to warm up, it's time to start getting your hands dirty. But as you start tackling your garden projects and getting it ready for spring and summer, you should also think about some of the bigger elements you want to add. 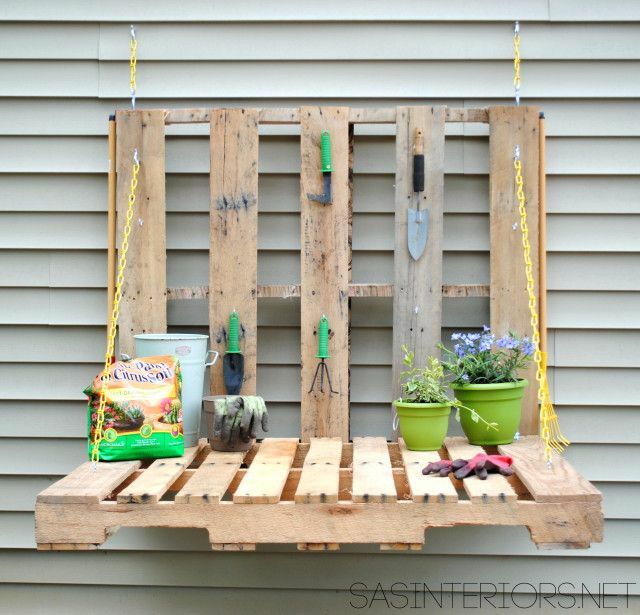 Instead of investing in pricey planters and organizers, utilize old pallets and their wood to create boxes and garden benches alike. Not only is this going to save you a lot of green, it's environmentally conscious because you're repurposing something that could have otherwise been tossed. It's no secret that for the past few years, bloggers and do-it-yourselfers have been showing us all the amazing things we can do with this reclaimed wood. But here's our list of the best projects to make your garden look better and stay more organized in the coming year. 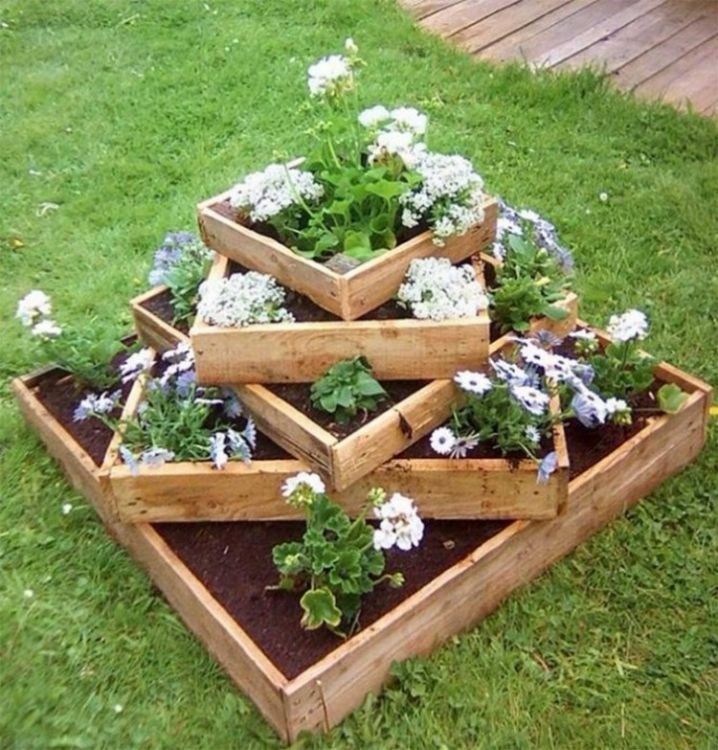 Instead of buying pricey planting boxes and lugging them home, make them from the scrap wood from an old pallet. This wood is nice and sturdy and will weather well outside in the elements. It's going to look great on your deck or as an elevated flower arrangement in your garden. Check out the DIY here. 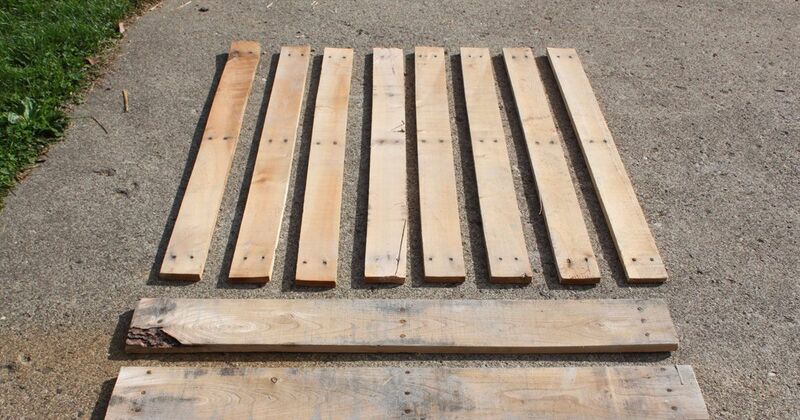 Your pallet wood boards are going to age wonderfully out in the elements. But if you want a funky, shabby-chic look without having to wait a decade, then take matters into your own hands with a bucket of paint and some sandpaper. Once you achieve this stunningly weathered look, use your boards as a statement piece or as part of a larger piece of furniture you're creating. Find the full tutorial here. 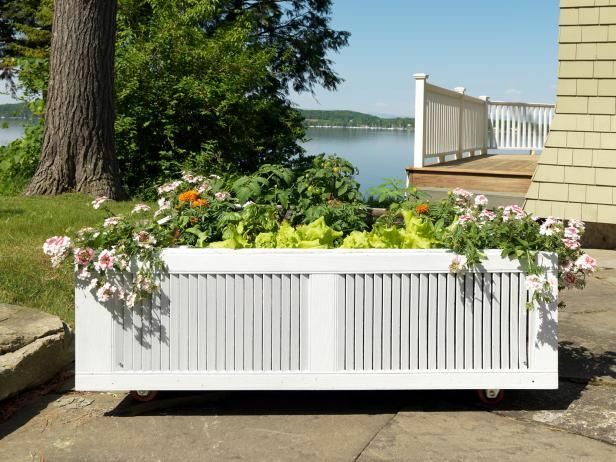 If you have to go out and buy a raised planting bed, it will probably cost you a pretty penny. 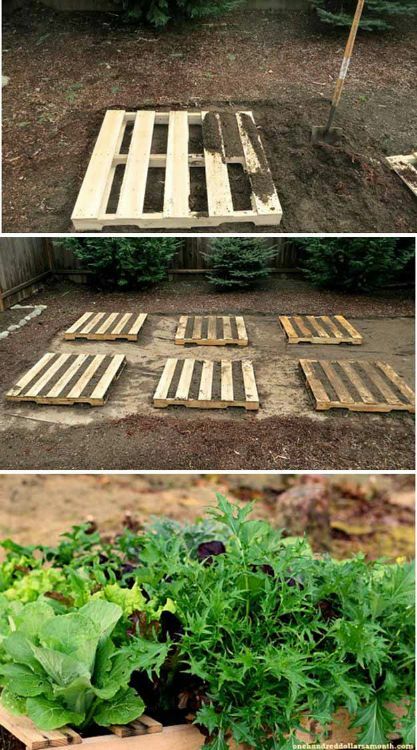 Thankfully, you can get a beautiful raised planting bed by just using old pallets! Check out this super easy DIY here. Repurpose all that old wood into something you'll use for years to come. 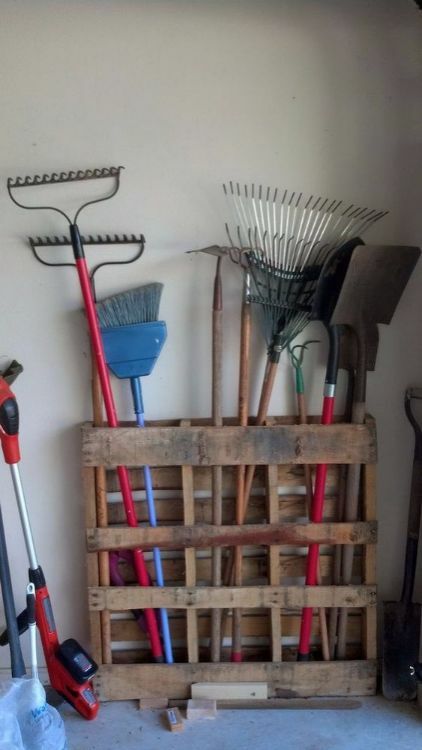 With just an afternoon's worth of work, you'll have a spot to pot, plant and organize all your garden supplies. The best part is that this gardening bench will look so great the biggest problem you'll have is finding a place to show it off. Wooden fences are a charming addition to any home -- but they can be pricey. 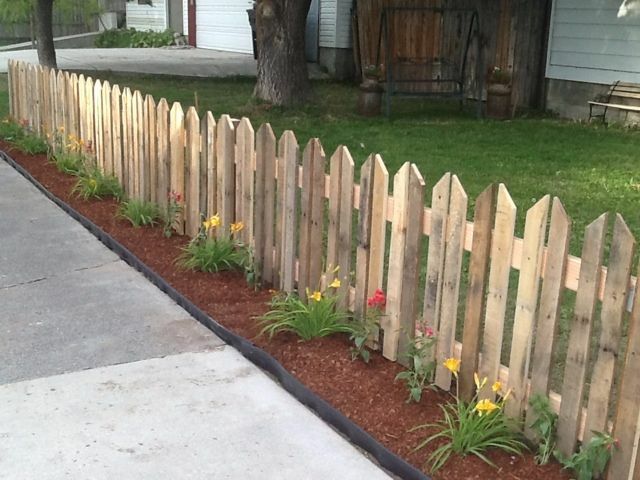 Instead, repurpose old pallet wood in this DIY to get the picket fence you've always dreamed of. It's going to look good natural or painted a nice, crisp white. This project is super simple, as it's only going to require some minor adjustments. If you want to make it look even better, though, simply paint it. See the full project here. Expert tip: Add some hooks to the front slats to hold smaller shovels, gloves and more. The pallets elevate the plants and help you keep them in nice tidy rows. 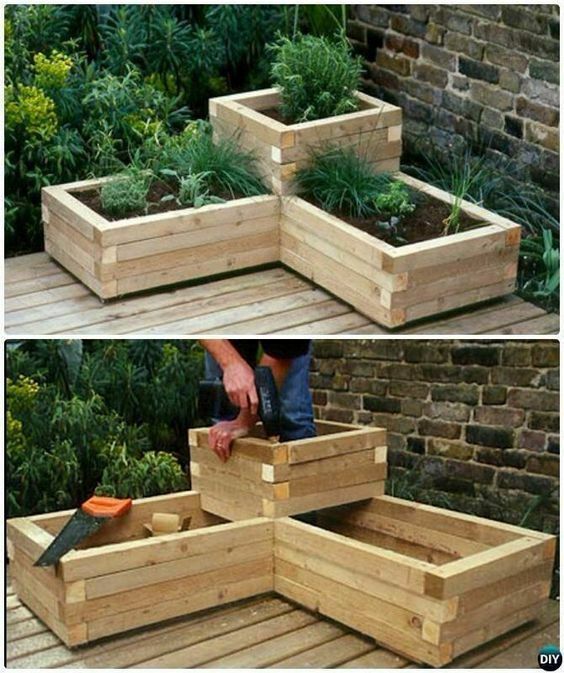 Not only is this super easy to do, but it's going to keep your backyard looking sharp and not overgrown. Find the DIY here. Many of us have that one unsightly part of our yard we just hate looking at. 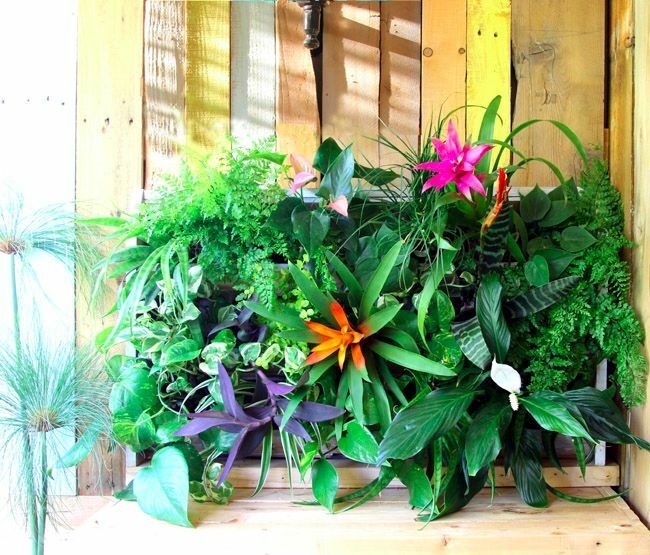 Cover up that fence, wall or shed with this super easy and incredible plant wall made out of an old pallet. You'll wish you had done this DIY sooner. If you're tight on space, this is the perfect DIY project for you. 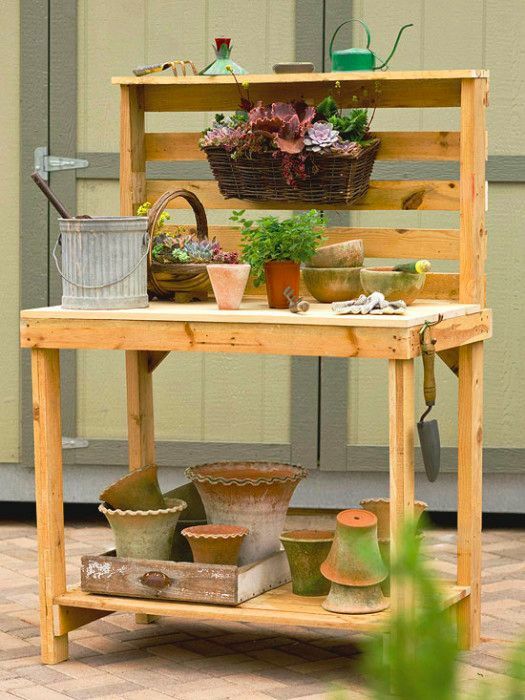 Attach this gardening bench to the side of your house or shed or even in your garage. It's totally functional and even easier to put together. Check out the project here. Herbs require a lot of specific care. Some like a lot of water; some don't. Don't subject them all to the same treatment as the other plants in your garden. 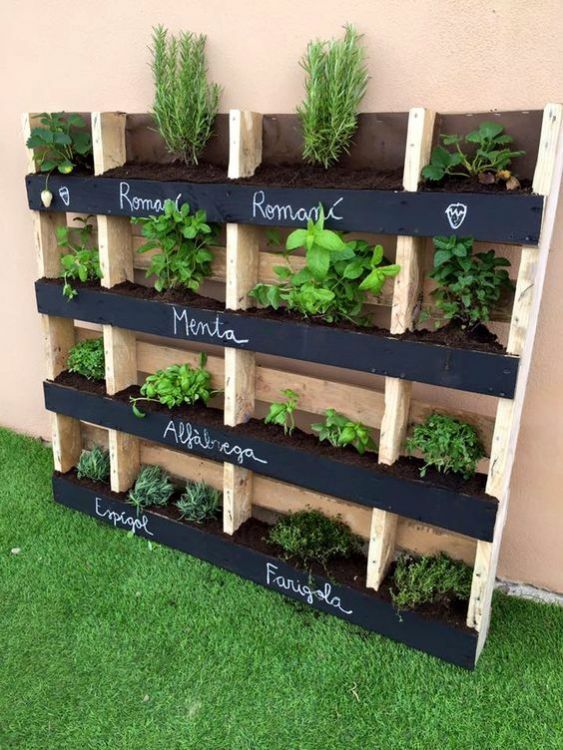 By planting them in these vertical planters, you get to care for each of your herbs exactly how you're supposed too. Plus, this vertical garden just looks great! Expert tip: Paint the front panels with chalkboard paint so you can label which plants are which. Isn't this the cutest thing you've ever seen? We love how the planters, made out of old pallet wood, are stacked and askew -- playing into the whimsy and beauty of a garden. This easy DIY project only takes an afternoon but leaves you smiling for years to come. This DIY is super easy -- and the end result looks like something out of a glossy magazine. 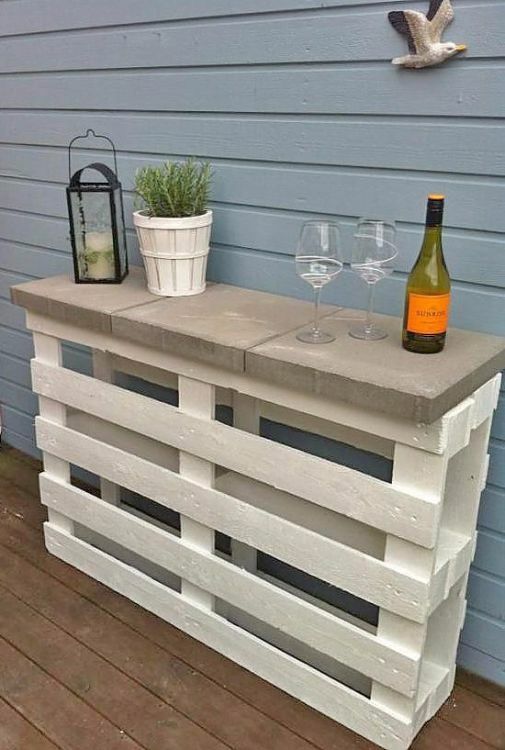 All you need are two pallets and some cinder blocks to top it off -- although you should really top it off with some cocktails. After all that hard work in the garden, you deserve it! Expert tip: A simple upgrade to this look could include painting or staining the wood, or adding some nice stone tops instead of concrete.